Irl Franklin was born on September 29, 1934, in Hutchinson, Kansas. 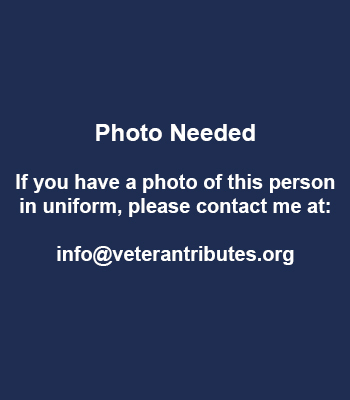 He was commissioned a 2d Lt in the U.S. Air Force through the Air Force ROTC program on May 27, 1956, and went on active duty beginning June 27, 1956. Lt Franklin next completed pilot training and was awarded his pilot wings at Vance AFB, Oklahoma, in September 1957, followed by service as a C-123 Provider pilot with the 331st Troop Carrier Squadron at Sewart AFB, Tennessee, from October 1957 to May 1958. He served as a C-123 pilot with the 346th Troop Carrier Squadron at Sewart AFB and then at Pope AFB, North Carolina, from May 1958 to March 1963, and then as a C-123 and C-130 Hercules pilot with the 776th, 777th, and 779th Troop Carrier Squadrons at Pope AFB, from March 1963 to September 1966. During this time, Capt Franklin deployed to South Vietnam from December 1961 to March 1962 and from April to September 1963, and to the Dominican Republic from May to September 1965. His next assignment was as an MC-130E Combat Talon I pilot with Detachment 1 of the 314th Troop Carrier Wing at Nha Trang AB, South Vietnam, from September 1966 to January 1967, and then with the 779th Tactical Airlift Squadron at Pope AFB from February 1967 to March 1968. He served as an MC-130E pilot and Chief of Stan/Eval with the 7th Special Operations Squadron at Ramstein AB, West Germany, from March 1968 to August 1972. During this time Maj Franklin served as the Aircraft Commander aboard the MC-130E "Cherry One" during the Son Tay Raid, a clandestine mission to rescue American Prisoners of War in North Vietnam on November 21, 1970. 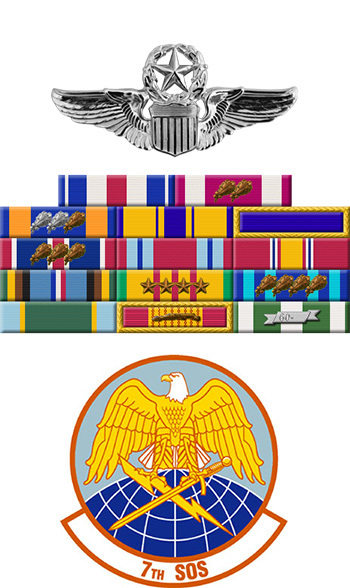 His next assignment was as an Air Operations Staff Officer with the U.S. Air Force Tactical Air Warfare Center at Eglin AFB, Florida, from September 1972 to October 1974, followed by service as Chief of the Special Operations Branch and then as Chief of the Operations and Readiness Group with Headquarters U.S. Air Force in the Pentagon from October 1974 until his retirement from the Air Force on March 1, 1979. Major Irl L. Franklin distinguished himself by gallantry in connection with military operations against an armed enemy of the United States during the Prisoner of War search and rescue operation at Son Tay, North Vietnam, on 21 November 1970. On that date, Major Franklin, as commander of the lead aircraft, safely led the assault rescue force deep into enemy territory to the Prisoner of War camp despite the hazards of darkness, low altitude, and adverse weather. The result of his action enabled the ground rescue force to successfully complete its mission. By his gallantry and devotion to duty, Major Franklin has reflected great credit upon himself and the United States Air Force.